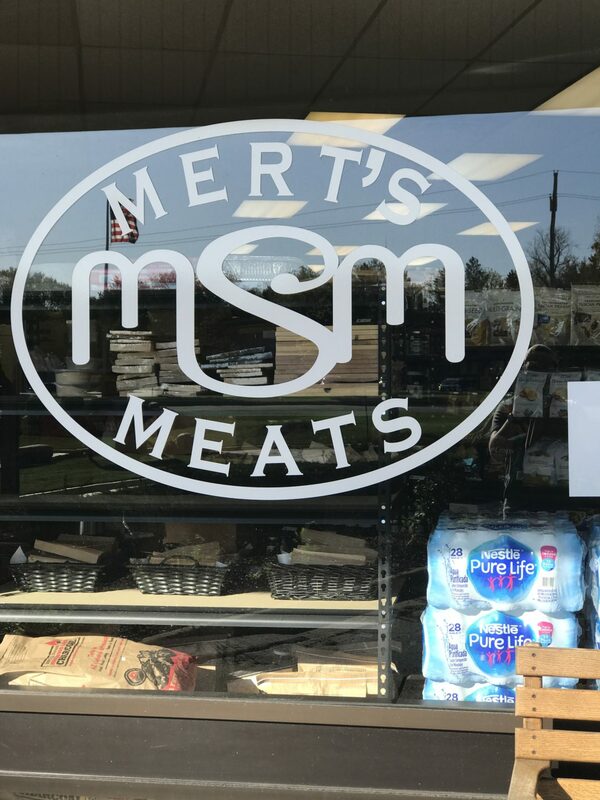 Mert's Specialty Meats' logo on the front window. Photo by Max Holden. Tailgate season is in full swing, and a key part to any tailgate is great food. Shirley Prescott, co-owner of Mert’s Specialty Meats, has plenty of options available for the tailgater and home cook alike. 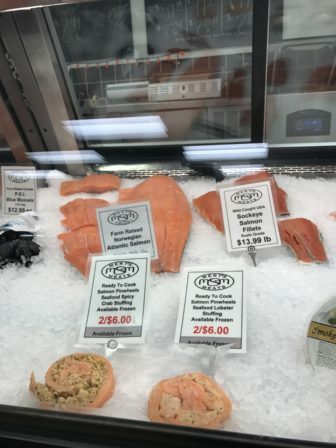 Prescott said what separates their market from a large chain grocery store is not only their superb customer service, but the quality of all of their products. Display of various game meats at Mert’s. Photo by Max Holden. In addition to their house made specialties, Mert’s also provides a wide variety of preparations for any consumer’s needs. 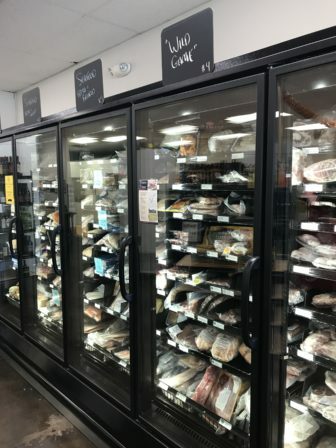 An array of beef, pork, lamb, veal, various game meats, as well as seafood and shellfish are spread across a very lengthy deli-style counter in the store. Mert’s also features a variety of Michigan brewed beer for the tailgate season, as well as a few domestic wines. 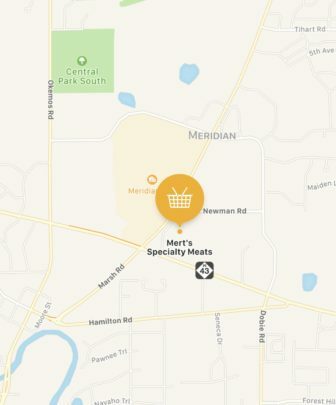 In an effort to encourage Michigan State University students to partake in their array of foods, Mert’s has linked up with the Hooked app to provide special deals in store, some available only with an “msu.edu” email address. “We’ve already had quite a few MSU students come in, bringing their Hooked app in and getting the sale right there.” Prescott said. Mert’s has been in business for six years now, owned by Shirley Prescott and her husband Mert, as well as their son. “Mert has been cutting meat since he was about 16 or 17, and he has since taught our son as well to help carry on our business,” Prescott said. Prescott said the business has been well received in the area attracting a nice customer base for them. Customers interviewed would also agree that Mert’s is a nice addition to the community. “I am a huge fan of this place, I always stop in here to buy my meats for football on the weekend,” said Dennis Williams, an Okemos resident. Customers also noted the immense variety that the small market has to offer. Mert’s is located just past Marsh on Grand River. Mert’s is located at 1870 W. Grand River Ave., and it can be reached at 517-574-5014. Meridian Township’s Parks and Recreation department expanded this winter its schedule of Family Winter Sports Weekends. What once was a program held in one weekend spans multiple weekends.